Heath facilities should be the safest places for every expectant mother to deliver. They should be trusted, attractive and able to provide the services. They should be well equipped and health workers well facilitated to provide the services. A maternity ward should, at that, be prioritized in terms of facilitation, equipment, with available medicines and well-motivated health workers; for they handle lives of mothers and their new born babies. Since 2011, Uganda has seen a new trend of advocacy aimed at ensuring that mothers enjoy safety in delivery. This has been coupled with massive budgetary campaigns, massive CSO mobilizations, petitions to speaker of parliament, commitments from members of parliament, continuous media engagements but most importantly of all the use of the legal arm where rights are violated. Constitutional Petition No. 16 of 2011 (CEHUD and Ors .V. Attorney General) for example was an eye awakener for the government and relevant officials to ensure that the budget allocated to the health sector is sufficient. Upon filing of this case, civil society and Parliament engaged in an unprecedented effort to block passage of Uganda’s Financial Year 2012-13 budget unless the catastrophic shortage of health workers was addressed as a matter of priority. Indeed 49.5 billion was allocated to the health sector to recruit 6,172 additional health workers and deploy them to HCIIIs and IVs in financial year 2012-13. That is not all. We cannot conclude that presence of health workers in health facilities is enough to ensure safe delivery of expectant mothers. A lot more is needed. Unless that “more” is cleared, we are yet to ensure safer delivery of mothers and safety of new born babies in health facilities. Center for health, Human rights and development has never relaxed. The outcomes of petition 16 energized its efforts to advocate for women’s rights. CEHURD has since embarked on other factors that draw women away from delivering in health facilities. Remember the joy of every expectant mother is having a bouncing baby. The pain mothers’ encounter during delivery is taken away by a smile from that child. Have you ever imagined going through that pain and you never see your child! A pronunciation of its death and having an opportunity to bury its body, though painful, may somehow comfort the mother. This was not the case with Musimenta Jennifer and Mubangizi Michael. It is alleged that the couple went to the National referral hospital to deliver and were given one child despite giving birth to two. It is further alleged that the second child died but the whereabouts of the body are not known. The couple was given a fresh dead body after three days and the DNA that was carried out revealed the component from the sample of the dead fresh body was incompatible with that of the parents. The second twin has since grown and is well nurtured for by the parents. She however is a reminder to the parents of the other twin. It is traumatizing to them to see one child and with no information on the whereabouts of their second baby or its body. CEHURD intervened in the matter to not only advocate for the rights of these parents to care for and nurture their child, and or have a right to bury the deceased but also to ensure that within the health care setting, these constitutional rights are observed. We also meant to ensure safety of delivery within the health facilities in order to reduce the number of maternal death. 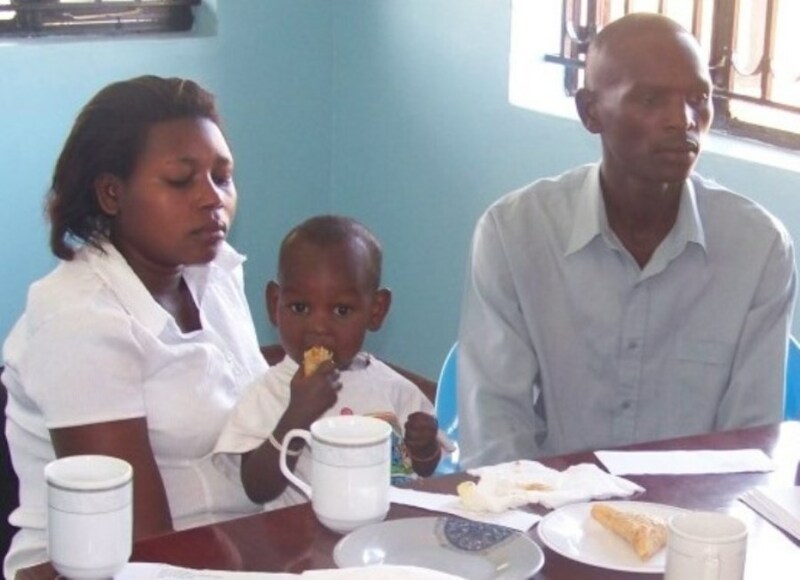 As such, CEHURD together with the couple instituted a human rights violation case in the high court of Uganda vide Civil suit No. 212 of 2013. The case seeks for declarations on violations of the rights to health, freedom from cruel inhuman and degrading treatment and rights of the child. This case is ongoing in court and we are yet to get the decision from court. It is important however to note that this case is one of the many that draw women from delivering in health facilities. Many other cases of child theft have been reported while others go unnoticed. The cause is what is questioned. Could it be a problem with the administration system; is it the failure to sufficiently remunerate health professionals that they negligently act, could it be the security system or the poor system of handling new born babies? Theft of new born babies has now become a trend in this hospital. We hope that the High court will deliver justice to the couple. We believe that court’s determination of the matter will impact on many other cases of child theft reported.